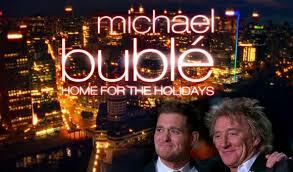 Just finished watching Michael Buble: Home For The Holidays concert on MNC Music. I ran across the program by accident. Scrolling indovision channel up and down because i was bored. But it really worth the effort. Upon selecting the channel there were Michael and Elmo talking to each other. Yep you read it right. Elmo from The Sesame Street. For a kid grew up in the 1990s it really brings up good memories. They were very hilarious. Sadly i was already on half the show when i checked the schedule. Next came Rod Stewart singing Chestnuts Roasting on an Open Fire. Really mesmerizing. To add the merry they went on a duet. Blake Shelton also guest stared the show and sang together with Michael. All in all it was a really beautiful show. It really cheers me up because though I’m home, but not all my family is here with me. My laptop clock now shows 21:49 and I want to sing it for you who come across this blog. Although it’s been said many times many ways… a very merry Christmas to you. ← Take Your Marks! Bang!